It’s hard to believe that it’s been 18 years since Blink-182’s debut album, “Cheshire Cat,” was released. Being only 6 years old at the time, it was not until well after the initial release date that I found out about this album or Blink-182 in general. Since then, Blink has become one of my all-time favorite bands, as I’ve loved every album they’ve ever released, including of course, “Cheshire Cat.” So when I heard that Hot Topic was going to do another pressing of Blink’s first album, I was thrilled. “Cheshire Cat” was released at a time when pop-punk was really taking off in the music scene, especially in California. And with this release, Blink cemented their spot as a major player within the genre. 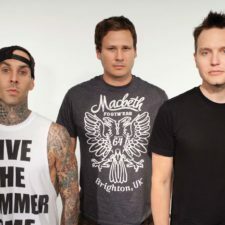 For that reason, and for the presence of Scott Raynor of the drums (eventually replaced by Travis Barker), the album sits as a special release for a majority of the band’s supporters. The main quality each of the songs on “Cheshire Cat” have in common is that they’re catchy. 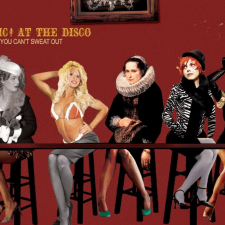 All of them are easy to sing along to and easily relatable during those high school years, with several of the tracks just dealing with wanting a girlfriend and getting through the awkward years of your youth. 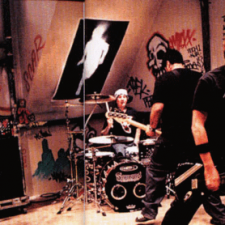 Musically, the songs have similar guitar riffs and are, by Blink-182’s own admission, simple to play. However, as any Blink fan would say, you don’t listen to their early material for its sophistication: you listen for fun. That fun includes the humor Blink-182 has shown throughout their career, which is clearly evident early on. From the lyrics, to the liner notes of the release, it’s obvious that the group didn’t take themselves too seriously and always did stuff their own way. Who knew some 18 years later, they’d would be as big as they are today. “Cheshire Cat” included classic releases such as “Carousel” and “M+M’s,” which the band still keeps in rotation today on stage. The repressing was limited to 400 copies and sold out online in a matter of days. You still may be able to snag a copy at a physical location. Sound Quality: The sound, like the other releases from Hot Topic, was very clear and sounded great through the speakers. Packaging: The packaging includes the original album art, lyrics and liner notes. As all Blink-182 fans would know, this is very important as they are often very humorous. Extras: The vinyl does not really come with anything extra, but for a release this old, the vinyl itself is sufficient enough. Summary: Even though “Cheshire Cat” is far from the bands’ greatest release, it’s still a fun listen that includes several catchy songs. Simply put, the release set the tone for Blink-182’s entire career. 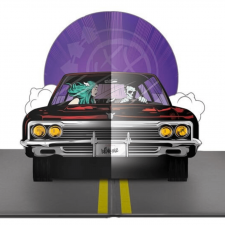 In terms of Blink 182 vinyl, the road was previously paved with hard to find releases along with very high prices. Lately, though, there’s been a rash of releases, which has been a welcomed gesture. Represses like Cheshire Cat help all vinyl lovers fill holes in their collection.